Lock in a great price for Alpha Stegna Sun – rated 9.5 by recent guests! 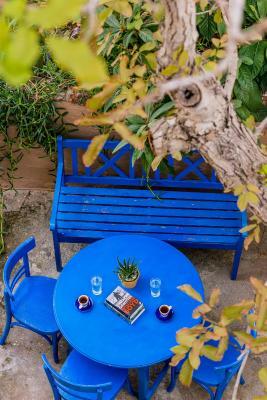 We were there only 3 nights, our hoster Costas was very nice and gave us many suggestions. We enjoyed our short stay in Stegna. 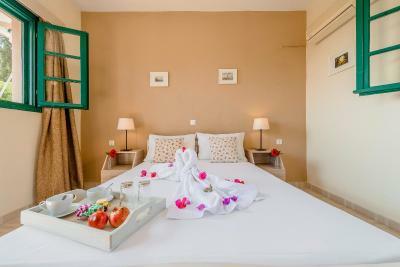 So clean rooms, so wonderful and polite people and you can find wonderful places near the hotel. Great green garden and very very sympatic owners Kostas and his sun George. Fine people. Michal a Katriana from Czech Republic. We just loved the place! George and his father are really nice, helpful and take their time to tell you about Rhodos. The room was really clean und lovely decorated. You have a 2-minutes-walk to the beach and numerous restaurants around. On top it is a very quiet place! 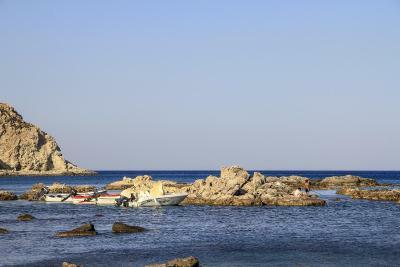 Stegna is in the middle of Rhodos - so the hotel is perfectly located for trips around the island. It takes you 30 minutes to go to Rhodos-City and around 45 minutes to go to Prasonisi in the south (very good for surfers). 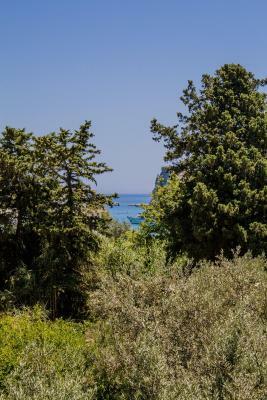 If you go to Rhodos, I would recommend the Ostrich farm, the Anthony Quinn Bay (you can also go from there on a beautiful walk up the mountain to the astronomy cafe) and in Rhodos-City the restaurant Koukos! When we return to Rhodos, we will definitely come back to the Alpha Stegna Sun. 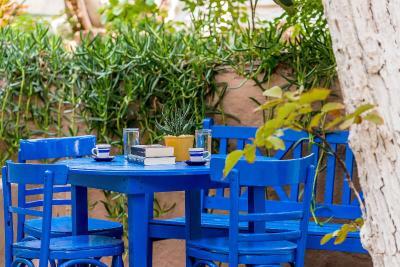 this place is a little Oasis at Stegna and comes along with personal charm. 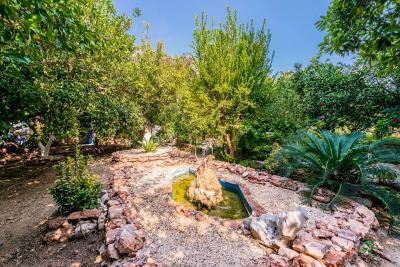 Especially the two hosts - George and his father - are lovely and give this place a personal touch, topped by the wonderful garden and the overall simplicity of this place. 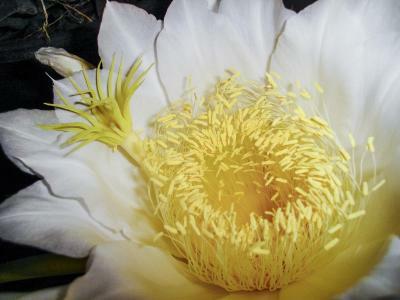 If you do not need luxury you could not ask for more. The place was perfect, a little oasis with limethrees. 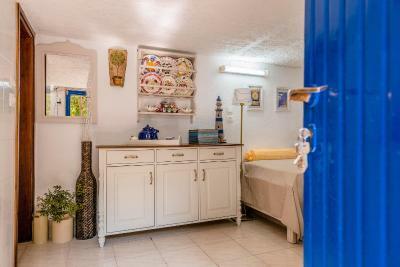 Just a minute walk from the nice and relaxing beach. Good restaurants near by. But the best of the best was the host George. 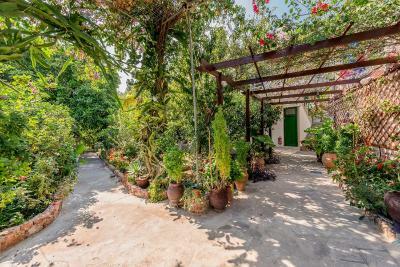 He can make you feel like home at the moment you enter the gate and step to this beautiful garden area. 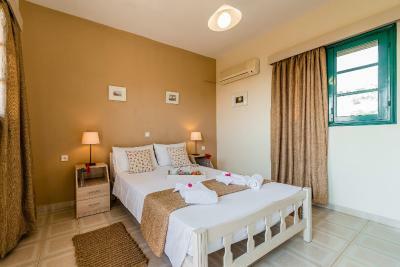 Very nicely decorated rooms, with a touch of history. Calming and peaceful surrounding. And quiet at night. 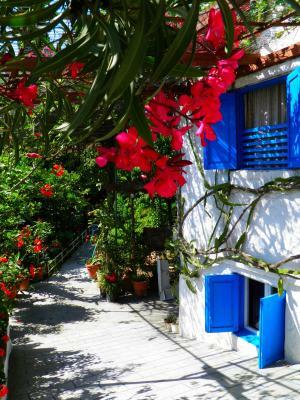 Beautiful location, a corner of peaceful and beauty ! The staff is wonderful, they explain and suggest all you wish! It was a perfect holiday !! Very peaceful, clean and extremely good value for money. The neighbourhood has great seafood restaurants with reasonable prices. If you rent a car, both of the two most amazing beaches for swimming in Rhodes, Tsambika and Agathi, are close. It takes about 10-15 minutes. The beach in Stegna is in front of the hotel. It is fine though it is not as good as Tsambika and Agathi. Considering there is no hotel in Tsambika and Agathi, staying at Alpha Stegna Sun is a good idea to quickly go to these beaches. Viewing the sunrise from the hotel is also amazing. Finally, George and his father Constantine are very helpful. 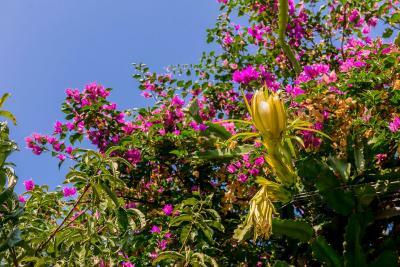 He kindly welcomed us and elaborately explained every attractive and famous places in Rhodes which are worth visiting. I strongly recommend this hotel. George is a fantastic host - he was so kind and helpful with every request we had. We were also honored with a wonderful gift at the end of our journey: fragrant thyme and natural seasalt produced by George's family! 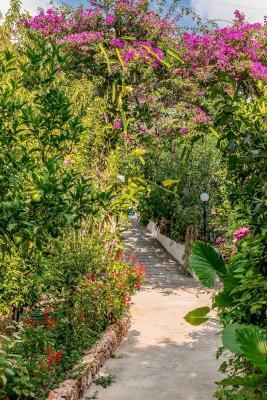 The rooms and the garden are lovely and Stegna is the perfect place to live a relaxing time, away from the crowds yet still at a very reasonable distance from Rhodes town and Lindos. Highly recommended! 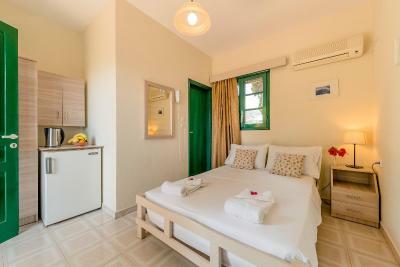 Located only 150 feet away from Stegna Beach, in Rhodes, Alpha Stegna Sun offers air-conditioned rooms set within a lush citrus-tree garden. Free parking is available on site. 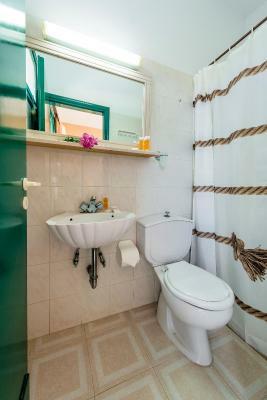 All rooms in Stegna Sun have a private bathroom with toiletries. 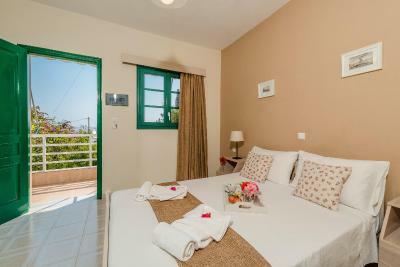 All rooms also have a shared balcony or veranda with views to the sea or the garden. 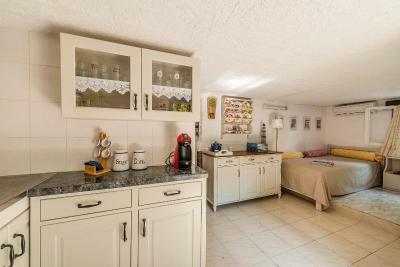 Standard facilities include air conditioning, a fridge, an electric kettle and a hairdryer. 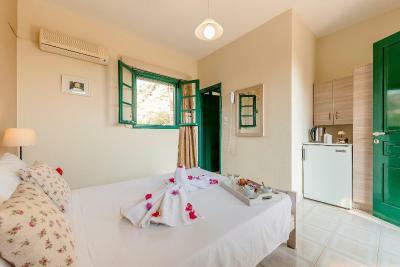 The hotel offers a shared fully equipped kitchen, where guests can prepare their own meals. 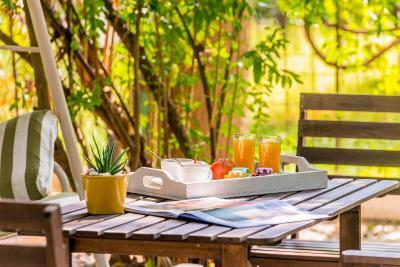 A dining table shaded by trees can be found in the garden. 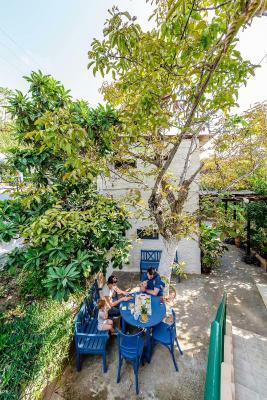 At 164 feet, guests can find traditional restaurants and taverns, beachside cafes and mini markets. Within 350 feet of the hotel, there is a bus station. The town of Archangelos is 1.6 mi away. 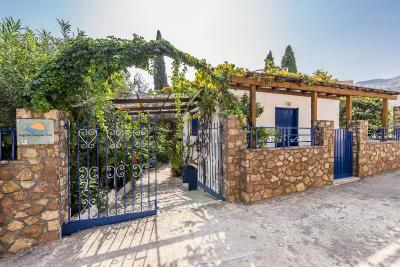 This property is also rated for the best value in Archangelos! Guests are getting more for their money when compared to other properties in this city. 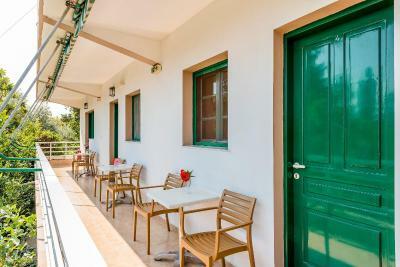 When would you like to stay at Alpha Stegna Sun? 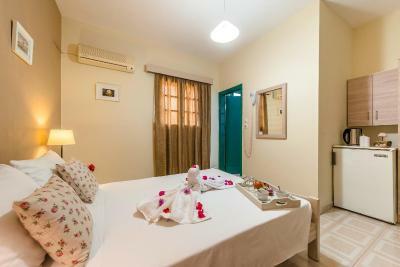 This air-conditioned room is fitted with 2 single beds and features a terrace or balcony overlooking the sea or the garden. 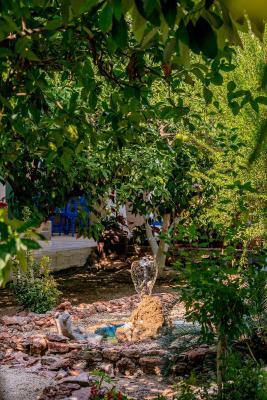 Our family run bussines started at the late 70's and it was the first small hotel in Stegna Beach. 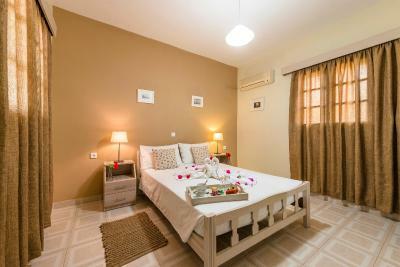 Having in mind "feels like home" we are trying to make your holidays as nice as possible. A saitsfied Guest is always the best reward. 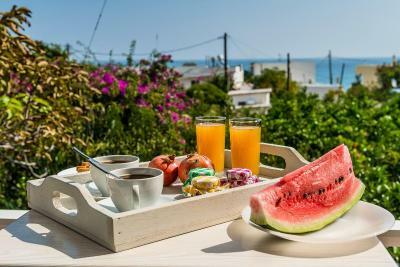 REGISTRATION No:1476Κ112Κ0164300 Taste the ultimate hotel experience in one of the most beautiful islands of Greece, Rhodes. 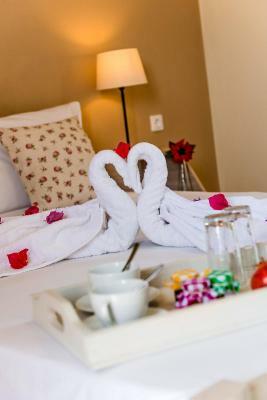 In the picturesque village of Archangelos of Rhodes an earthly paradise and our warmest smile awaits you in the rooms of Alpha Stegna Sun and the apartments of Archangelos Houses, to meet every single one of your needs in the best possible way! 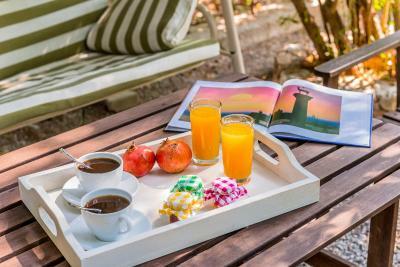 In just a few meters away from the sea, having everything you need by your side, enjoy your coffee while relaxing into the "Garden of Eden" that we created only for you. 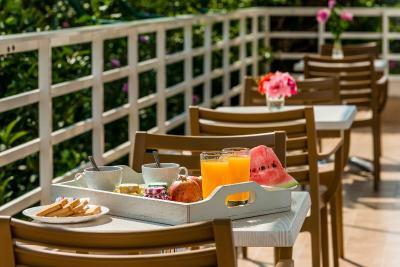 Meet as well the Rhodes traditional cuisine, choosing among a wide variety of dishes the taste that suits you the most, discover one by one the beauties of the charming Rhodes and feel free to ask us any information you need. House Rules Alpha Stegna Sun takes special requests – add in the next step! Alpha Stegna Sun accepts these cards and reserves the right to temporarily hold an amount prior to arrival. Please inform Alpha Stegna Sun of your expected arrival time at least 1 day in advance . You can use the Special Requests box when booking, or contact the property directly with the contact details provided in your confirmation. Please note that children can only be accommodated in the Standard Room, in case children's age is over 1 year old there is an extra charge of 10 EUR each. Please note that when guests of the Standard Room require a cot or a crib the management needs to be informed. Please inform Alpha Stegna Sun of your expected arrival time in advance. You can use the Special Requests box when booking, or contact the property directly using the contact details in your confirmation. The only issue was the wifi being somewhat unstable, and the location meant my 4G also didnt work, which made it a little difficult to get online at times. Amazing hotel with very friendly and helpful owner. Gave us great tips and accomodated our every need. Perfect for couples. 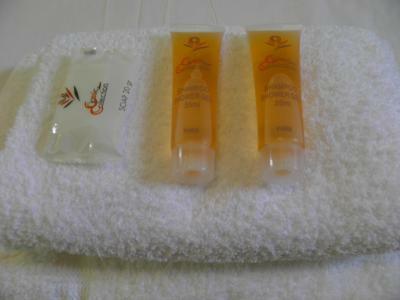 The room was very clean and came with a coffee maker, which made every morning very nice. 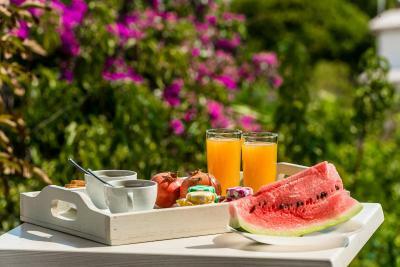 The hotel has a beautiful garden with orange and lemon trees, in which you can have your breakfast. We strongly recommend this hotel. Great host and area. Right near the beach. We had a fantastic week in Rhodes all thanks to George and everyone else at Alpha Stegna Sun. 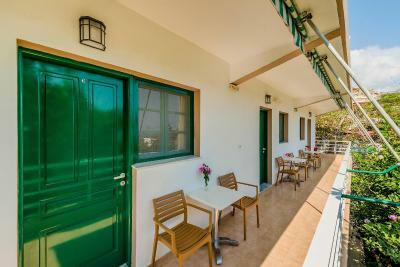 The location is great in Stegna being only mins from the beach. The complex had a great chilled vibe to it with all the trees and plants. The rooms were kept clean and everything was working well. George greeted us with cold drinks and gave us detailed info on everything to do and see in Rhodes along with useful tips. Although bit further from the airport, we would definitely stay here again when we come back. There are plenty of restaurants to choose from only few mins walk away down by the beach. If all you're looking for is a quiet, relaxing week, to lie on the beach, away from all the tourists then I would 100% recommend this place. Loved our host George and his place He was a great help with everything. The location is awesome with the beach less than 100m down the road. People were friendly and food was generous at restaurants. George and his father were so friendly and helpful. 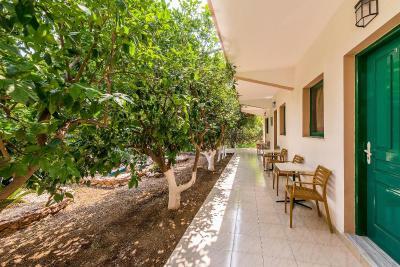 The accommodation is very clean and comfortable and in the middle of their beautiful garden. It was so close to the beach and number of taverners just a 2min walk. There is a lovely community feel in Stegna - we will definitely be back!